Being financially strapped or stopped in life doesn’t feel good. The Prosperity Workbook provides the action plan necessary to achieve whatever it is you desire. It is designed to help you actualize the life you’ve been waiting to live, putting a proven system into action immediately. The most important key to retraining your mind is the resolve to stick with it everyday. In order to develop new thought habits and beliefs, it is essential that you’re consistent with your mental training. This workbook is designed to make it easy to do just that. By using the workbook, you augment the power that exists within you already. Why not use the next 40 days to retake control of the one thing with the power to change your life: your mind. 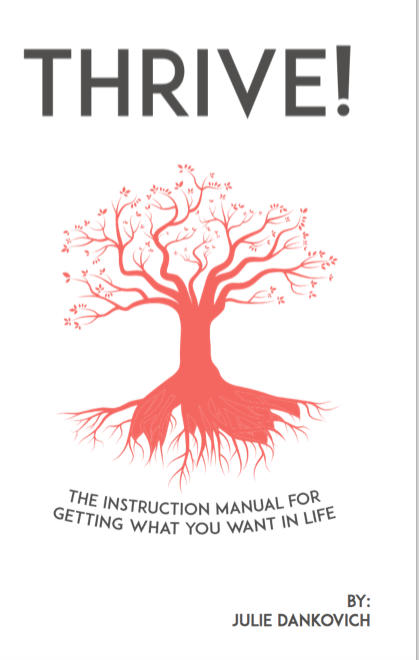 Let The Prosperity Workbook guide you to the success you desire. It only takes a little over a month to create the proper mindset to attract a state of perpetual abundance, when you use a system this powerful. 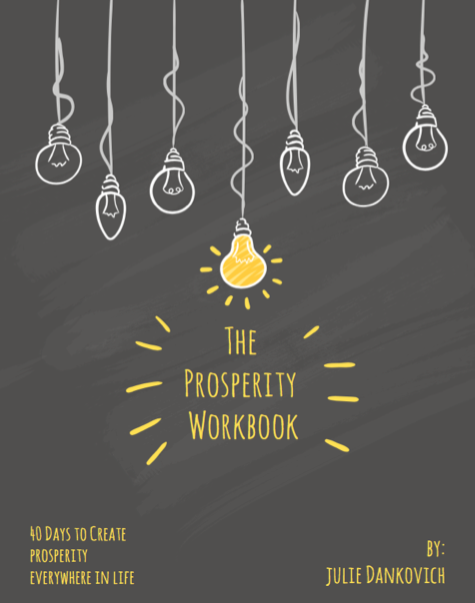 The Prosperity Workbook is a powerful mind trainer. Each and every one of us has been given the ability to use our mind as a powerful tool and directing it to whatever ends we choose. This workbook teaches you how to use that tool. You can easily accomplish all of the things you’ve dreamed of doing – writing that book, getting a pay raise, a new job, feeling self-confident, happier, and content in all areas of life. The hardest–but most important–work you will ever do is to erase your old limiting beliefs. Allow this workbook to take the heavy load off of your shoulders with proven techniques that will help you reshape the way you think with less resistance and more results. Once you have nixed those thought patterns that have repelled money, you can replace them with patterns that magnetize it. What you need is a system that produces results as quickly as possible but also makes these results permanent. If you are looking for a way to change your circumstances significantly, quickly, and permanently this is the workbook for you. Embrace prosperity now. The income, lifestyle, and happiness you deserve are all within your reach. All it takes is 40 days to change your life forever! Great tool for positive changes! 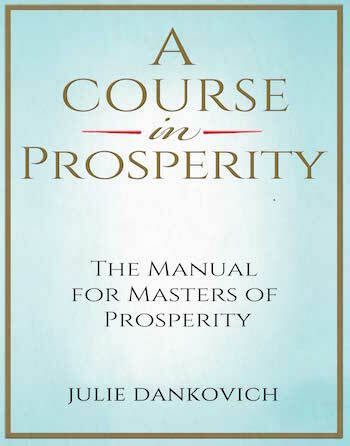 I use this book along with ‘A Course in Prosperity,’ also by Julie Dankovich (although both books can stand alone). It’s a great way to start and end my day. Thank you, Julie Dankovich!